The Azerbaijanis living in the United States are disturbed by the cases which have become frequent in last days of intensive infringement of the cease-fire regime resulting loss of human life on contact line of the Armenian and Azerbaijani troops. United States Azeris Network (USAN) has started a campaign of letters to urge the Congressmen to raise attention to this question. In the letters sent to the House of Representatives and members of the Senate, and also to the local executive bodies connected with foreign policy, and mass-media, it is underlined that the indifference to long occupation of the Azerbaijani lands by Armenia is inadmissible. The Armenia-Azerbaijan, Nagorno-Karabakh conflict, reducing speed of development and democratization of the region, poses threat to global security of this important part of the world. Azerbaijan possessing rich natural resources plays significant role in energy security of allies of the USA in Europe. Pipelines of Baku-Tbilisi-Ceyhan, Baku-Supsa, Baku-Tbilisi-Erzurum, transporting oil and gas from the Azerbaijani sector of Caspian Sea through Georgia, deliver them to the West markets. Azerbaijan has strategic partnership with the USA in peace-making operations in Afghanistan, and before - in Iraq and Kosovo. Presenting in campaign of letters full chronology of the cases of regular infringement by Armenia of the ceasefire regime on front line, the USAN members bring to attention that one of last such facts – attempt of attack of the Armenian army on the position of Azerbaijan in Gazakh region on June 5 has led to loss of human life. They remind that in 1991-1994 Armenia by means of the foreign patrons has undertaken military aggression against Azerbaijan. From April till November 1993 the UN Security Council in four resolutions accepted by it has demanded withdrawal of the Armenian armed forces from Nagorno-Karabakh and the adjacent areas, returning of the Azerbaijani refugees and IDPs to their native lands. On March 14, 2008 General Assembly of the United Nations, once again having demonstrating the position of the international public, has underlined support of territorial integrity of Azerbaijan, in the corresponding resolution accepted by it has demanded immediate and unconditional withdrawal of the Armenian armed forces from all occupied territories of the Republic of Azerbaijan. Along with it, the Federal Bureau of Investigations and US State Department in the annual reports specify that Armenia holds the Azerbaijan territories under occupation. At last summit of the NATO in Chicago support of territorial integrity and the sovereignty of Azerbaijan also has been expressed. However, Armenia doesn't recognize it, continues the policy of occupation and violence, ethnic cleaning and war crimes. 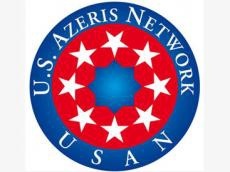 Azerbaijanis of the USA through the campaign of USAN demand from representatives of the Congress to express official and unequivocal support of territorial integrity of Azerbaijan, including the Nagorno-Karabakh region. The US Azeris consider that the USA, rendering any assistance to Armenia should consider the resolutions accepted by the UN Security Council in connection with the conflict, in 2013 fiscal year should stop the military help to Armenia under various programs. The direct help of the USA shouldn't appear not only to Armenia, but also to Nagorno-Karabakh and the Javakhetia region of Georgia without the central authorities. In campaign of letters it is also demanded not to let the Armenian officials who took part at the aggression and occupation of Azerbaijani lands to visit the USA, and to meet with the US officials.